Turns out, Jay Z‘s nephew is the Jay Z of dunking on people … ’cause the kid straight CAUGHT A BODY this weekend, and that body belonged to one of the best hoopers in America. Nahziah Carter is his name (Carter, like Hov), and he’s one of the best players in the country — with offers from some huge schools under his belt. 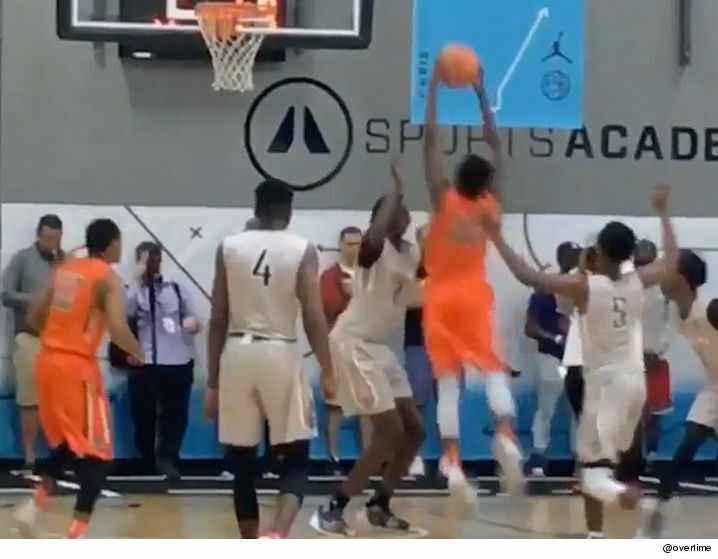 He proved how dope he is this weekend by punishing 7’1″ Bol Bol (a five star recruit and Manute’s son) with a thunderous dunk in the Nike EYBL tourney this weekend … all while Jigga looked on in the crowd. Again, this is no disrespect to Bol Bol — dude is an absolute monster. But, sometimes, these things happen.